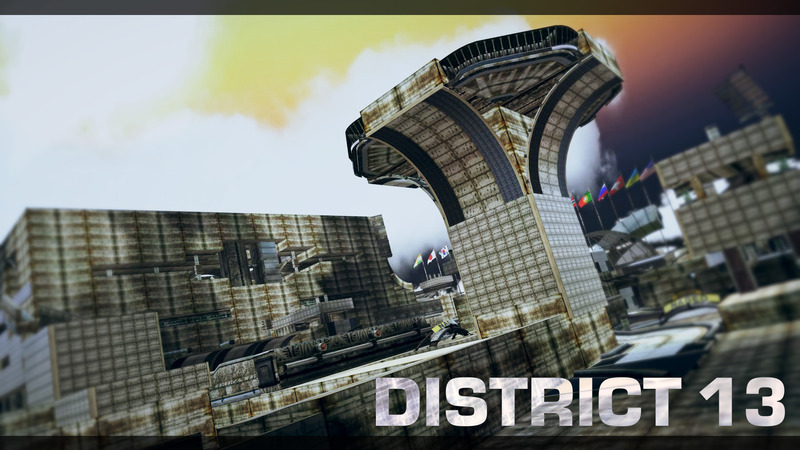 Explore and enjoy a journey through the ruins of District 13! When I participated in last years RPG Spain Cup, I found many of the maps to be too hard and frustrating to play. "Why can't authors build more huntable tracks, when they are used in cups after all" I thought to myself. It took me a while to realize that if I want to see more huntable tracks, why don't I build one myself? And here's the end result of that.. When I started this project, I wanted to build something I'd enjoy hunting, something that would flow and feel natural to drive. And after refining the track over and over and over.. I think I ended up somewhere close to that idea. I hope you'll enjoy it! ..Is this really an RPG track? It's a matter of definition I guess. The days of "traditional" rpg tracks with pipes, walls and rails spam are long gone, and as track standards and mapping evolves, so does the genre. I built something I'm happy with, and something enjoyable to hunt and for me that's what matters. The track itself fast paced, reuse heavy and technical. It has only natural speed, as I built this without using any boosters, so crashing will cost you a lot of time. There are a couple of tricks here and there to change up the pace, but overall the consistency should be very high. Happy hunting! Closing out this author comment, I need to display my gratitude for these fine gentlemen: Xerox. & paxiuz ! - Xerox. : Helped me a ton with realizing this track, did most of the scenery, betatesting, cutfixing, route improvements. Overall great help, thanks a lot! - paxiuz: Helped me with editing the RustCity mod to match the theme of the track, looks amazing now. Thanks man! Have fun guys, please upload your replays and leave me some feedback if you play it! Did someone make a video? ok. ... Seems to be the summer of RPGs. In "Best Of The Week" top 4 are RPGs; 5/10 are RPGs. 84 awards in total. This RPG has something different from the others I've already seen. There's only one time you restart from a checkpoint, and the rest is like a tech track.